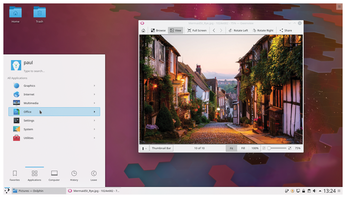 While many user interface designers advocate simplicity and simplified decision-making for users (which often results in no decision-making at all), the KDE community  has stubbornly gone the other way, jam-packing all manner of features and doodads into its Plasma  desktop (see the "KDE Is Not a Desktop" box). That said, if you want simple, Plasma can do simple, too. You can ignore all the bell and whistles and just get on with your life. But where is the fun in that?